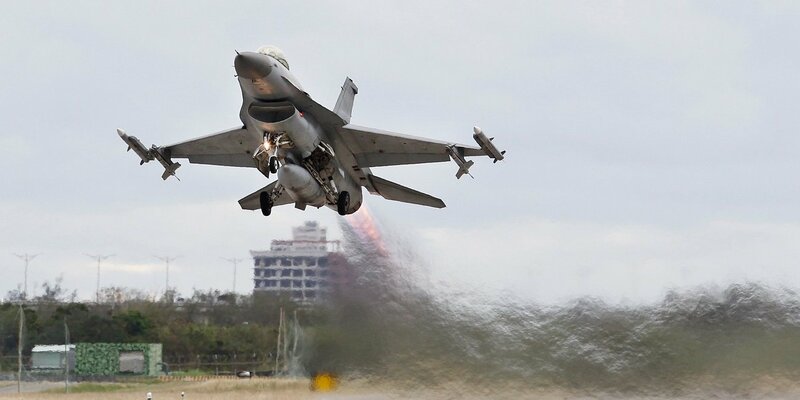 SOFIA, Bulgaria (BulgarianMilitary.com) – The U.S. aerospace company Lockheed Martin denied the claims circulating in some media recently that the F-16 Block 70 fighters for Bulgaria will be manufactured in India, learned BulgarianMilitary.com. The conclusion that the production of the fighters for which Bulgaria will negotiate could take place in India, derived from the possibility for the U.S. company to relocate its F-16 plant there, if it is awarded a large-scale military order. In India, the U.S. defence company is competing with Boeing’s F/A-18, Saab’s Gripen, Dassault Aviation’s Rafale, the Eurofighter Typhoon and a Russian fighter, for the supply of 114 combat aircraft to India’s Air Force. The deal is estimated to be worth more than $15 billion. According to Reuters, citing the vice president of strategy and business development at Lockheed Martin, Vivek Lall, the U.S. company would make the Asian country the sole global production center for the F-16 that would meet the requirements for the Indian military and overseas markets. However, in a press release related to the recent statements, the International Business Development Director for the F-16 Program at Lockheed Martin, James Robinson, specifies that the fighters offered to our country will be manufactured in the company’s facility in Greenville, South Carolina. Lockheed Martin’s statement, cites Robinson saying that the production of the very latest version of NATO’s benchmark single-engine fighter F-16 Block 70 aircraft for Bulgaria, will be held at the company’s F-16 production line in Greenville, South Carolina, where and the aircraft for Bahrain and Slovakia will also be produced. “We have not planned, nor have we ever suggested having F-16s for Bulgaria manufactured in any other country, including India,” the statement reads and adds that Lockheed Martin is headquartered in Bethesda, Maryland, the U.S., with 100,000 employees around the world. The company is currently shifting its production line from Fort Worth, Texas to Greenville, South Carolina. In the middle of the next month, the interstate talks for eight F-16 Block 70 fighters begin, with Bulgaria’s ambition the purchase not to exceed BGN 1.8 billion (with VAT). One of the unclear moments, so far, is when the production of the aircraft will take place. Initially, Bulgaria wanted to acquire the first fighters within two years after signing the contract, but the U.S. and Lockheed Martin could hardly meet that requirement. However, Parliament has adopted the “deviation” from the requirements and all deadlines are yet to be negotiated. Lockheed Martin says they have already found a way to speed up the delivery process.